As a business owner it has always been easier to reply on a third party to sell your good online. There have been a lot of options. Everyone from Amazon to ebay wants to sell your goods. This has always been beneficial for the small business owner or individual who wanted to sell online. Setting up your own shopping carts has become simpler and easier now. Gone are the days when you required technical expertise and a large upfront investment to setup a shopping cart on your own site. Now anyone with a website can have a cart up and running in a matter of hours. Sooner if your website is on a supported platform. The question is why would you want to setup your own shopping cart? Primarily it is a question of control. Sites like Amazon and Ebay control the entire experience end to end. You just have a link from your website to your products or shopfront and from that point you have lost control over the customer. Nothing prevents the customer from then searching for alternate products on the third party site. You also lose the ability to upsell or cross market any other products you have. The other reason to have your own hosted cart is branding. Any cheap shopping cart software will allow you to brand and customize the look of your cart and pages to match your website. Ultimately the decision on hosting your own shopping cart boils down to a question of convenience and control. If you do require the branding and finer control of your transactions there are no longer any reasons not to setup your own cart. 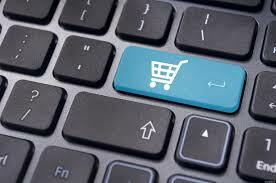 Secure Net Shop is an online ecommerce solutions provider. Check them out for an affordable and cheap shopping cart solution.